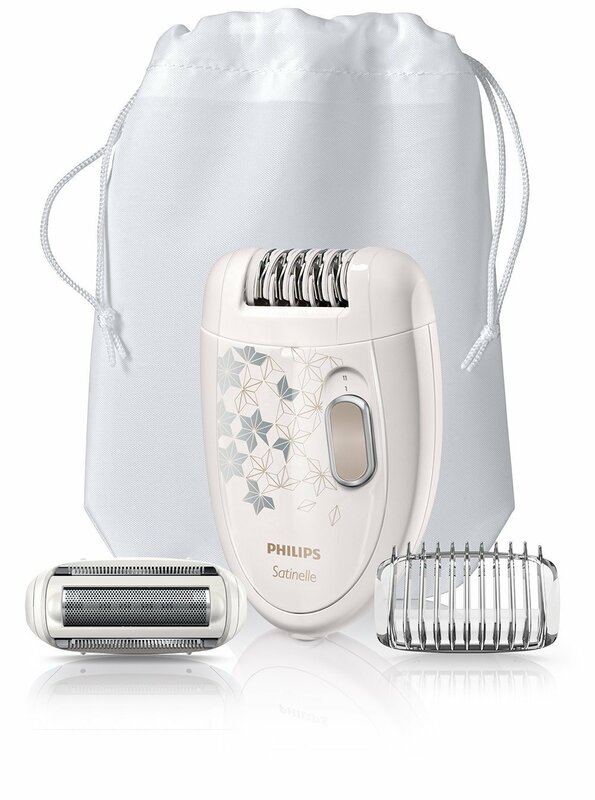 If you’re not looking to spend loads on a flawless epilator than this one is not a bad option at all. As long as you don’t mind it being corded, this has everything you need to get started with epilating. The shaver and trimmer attachment makes it superior, in my eyes, to the massage roller version as it’s 3 times as useful. It’s very effective at hair removal so I can’t make many complaints at all and it’s moderately pain free. I would highly recommend it as an epilator for a beginner as it should leave a good impression of epilating. The price is excellent for the product and the storage bag and design are just the icing on the cake. Philips have been making grooming products for around 100 years and are renowned for their designs and fantastic reputation. Originally a Dutch family business, they are still based in Amsterdam are have gone from strength to strength. They have a reasonable range of epilators and this one is another in the Satinelle line. 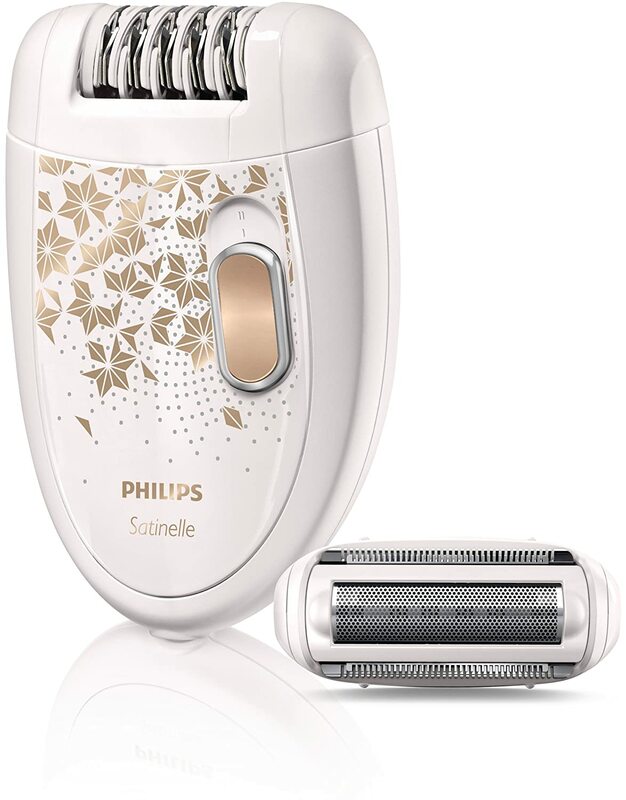 This is essentially the same as the Philips Satinelle Corded Epilator with Massage Roller but it comes with a shaver head and a trimming attachment instead of the massage roller. It displays a feminine gold design but is understated and not particularly girly which is in its favour. It also comes with a storage pouch. The rotating discs in this design do a great job at removing fine, short hairs as well as slightly longer hairs and it doesn’t take too long to get a smooth, hair free finish. It’s not too painful at all and the pivoting head allows it to glide easily in and out of contours without missing anything. It’s corded and not waterproof but you can remove the head and wash it with ease. As long as you don’t mind the cord then it’s no problem and should outlast the lifespan of rechargeable batteries, which is a bonus. I prefer cordless epilators but for the money, this is excellent. With two speed settings you can change between gentle and efficient which is mainly useful on different areas. The range of additional attachments is brilliant and makes it a good all rounder compared to the other Satinelle with massage roller which lacks the shaving option. Compared to the more expensive Braun epilators, this isn’t bad. It’s a good epilator for a beginner as the pain is minimal, it feels good to hold and it’s really reasonable priced.